Maths is a very important skill to learn – at an early age…and the more help we can give to our kids to develop fluency in addition and subtraction, alongside other Math problems, the better! It isn’t the easiest thing to make Maths more exciting for children; doing mathematical operation exercises can become a little tedious for your children. 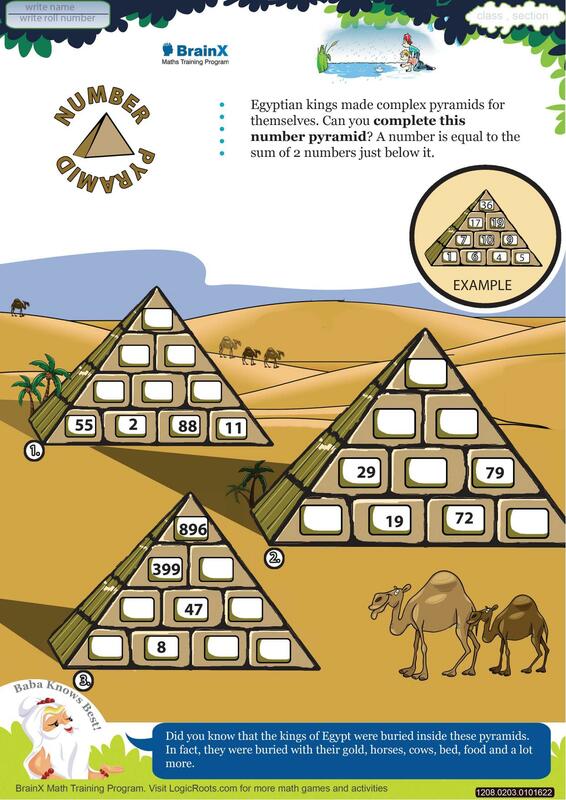 Thanks to Logic Roots for creating some fun mathematic printables to help children with their math fluency. 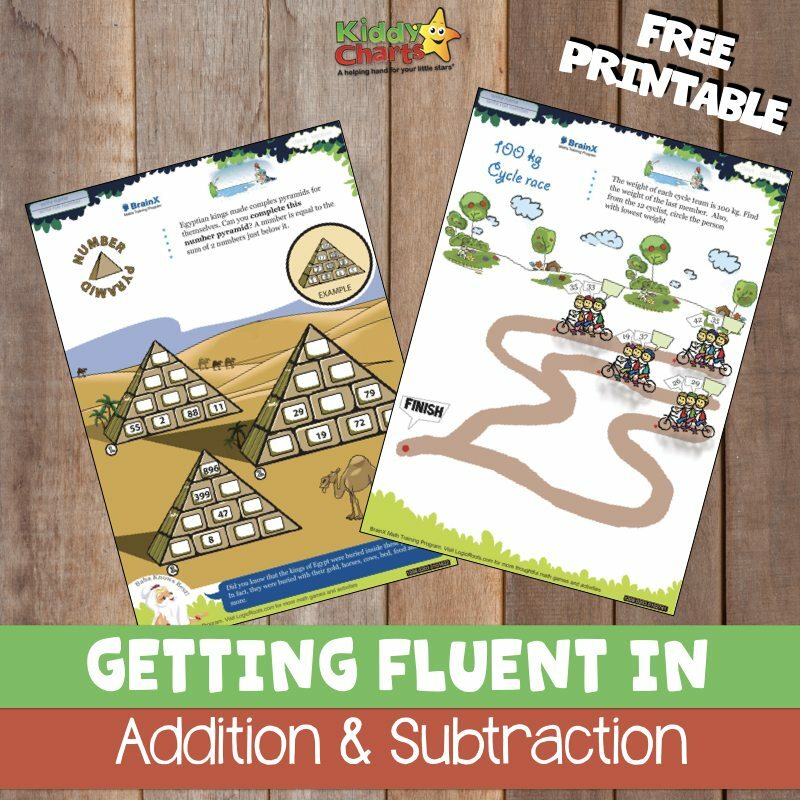 We are sharing a couple of their sheets that focus on addition and subtraction; with a few different themes, to keep your kids interested. 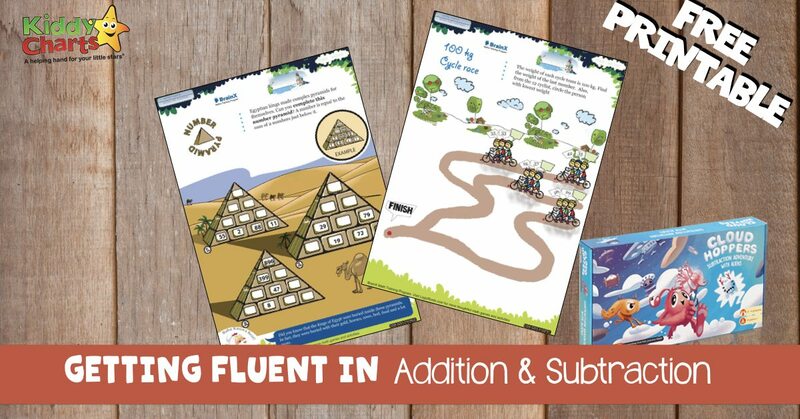 Do you need more fun worksheets to get children fluent in addition and subtraction? You can sign up and download here. Another way to help children being fluent in addition and subtraction is to play some games with them. There is nothing better than a little bit of family time – and board games work perfectly in engaging our kids in an activity, which is sneakily helping them to learn, without them even realising! 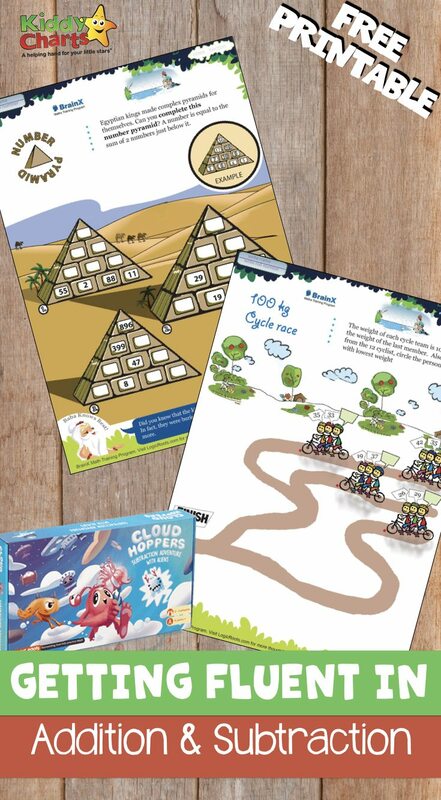 The Cloud Hoppers board game is really great to help kids in grade 1 – 3 to be more fluent in Maths. This is a Math facts game ifor age 6 years an up. This game is about some Aliens who are in search of magical Cyta flower. You can team up with kids to find the flower as you jump through clouds, lightning and beat other aliens in this fun chase game. 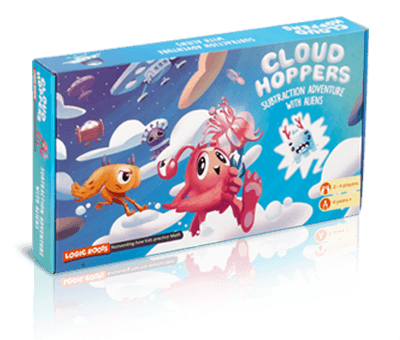 Cloud Hoppers also can help kids build other skills that include planning, flexibility and patience. This board game is great for kids as a STEM toy that builds core math skill. We really love this game because it is very simple. Kids only need to know the basic concepts of addition and subtraction of 1 and 2 digits numbers before playing with the game. 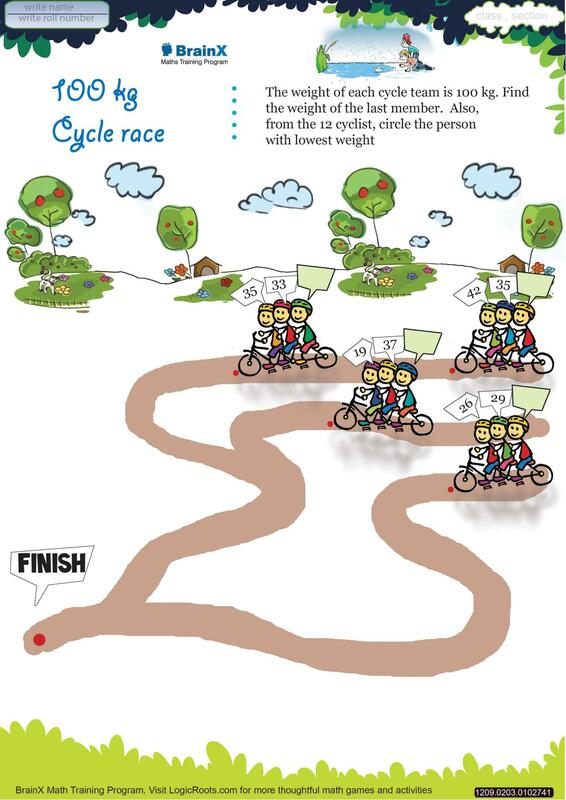 Are you ready to have fun with kids and help them to be more fluent in addition and subtraction? Click the image below to get more information about Cloud Hopper.